A big majority of the EU Parliament Committee of Transport would support the projected railway line from northern Finland to the Norwegian Arctic shore, says MEP Michael Cramer. The member of the European legislative assembly has himself tested the ground. 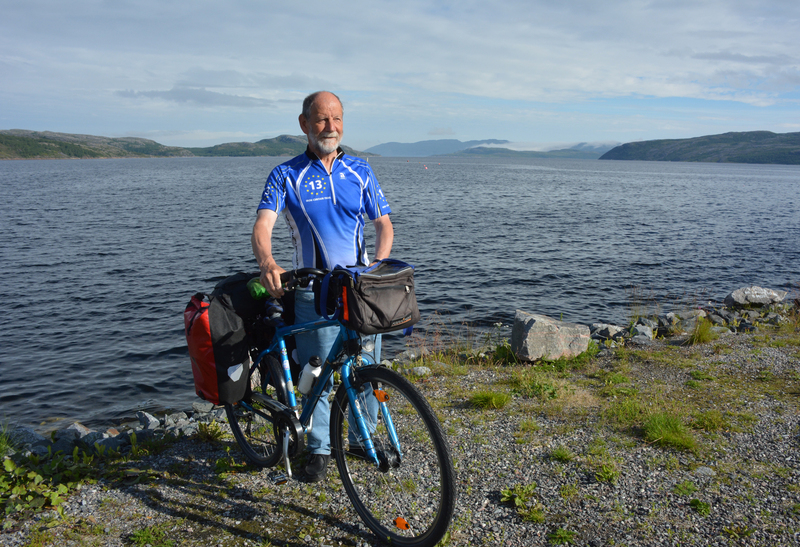 In mid-August he took his bike to Ivalo, northern Finland, and biked the 240 km kilometres to Kirkenes, the Norwegian town on the Barents Sea coast. Nature is beautiful, but it was not nice with the many trucks, he says on arrival in Kirkenes. Michael Cramer, a German from Berlin, represents the Greens in the European Parliament and is a member of the Parliament Committee of Transport and Tourism. And he is a passionate spokesman for renewable energy and environmentally friendly transportation. «If we want to stop climate change, we have to change mobility», he underlines in an interview with the Barents Observer. “New transportation must be rail and not road, because rail is most environmentally friendly». According to Cramer, the transport sector accounts for 1/4 of EU emissions, and within the transport sector 72 percent of emissions is from road traffic. Railway transportation gives almost no emissions, the European politician underlines. Cramer comes to Kirkenes as locals both on the Norwegian and Finnish sides of the border are increasingly thrilled by the prospect of a new cross-border rail connection. The grand idea has won support from powerful groups in both countries, and especially Finland where Minister of Transport Anne Berner is pushing for project development. In July, Berner commissioned a study, which is to explore a possible development of the railway. Supporters argue that the new infrastructure will become of major importance as Arctic ice is melting and economic activity and shipping in the Arctic pick pace. The question is how to connect the region, Michael Cramer maintains. According to Cramer, Finland will be entitled to get money from the EU Commission if it succeeds with its project railway plans. And he is confident that a big majority of his Parliament Committee on Transportation and Tourism will support the initiative. 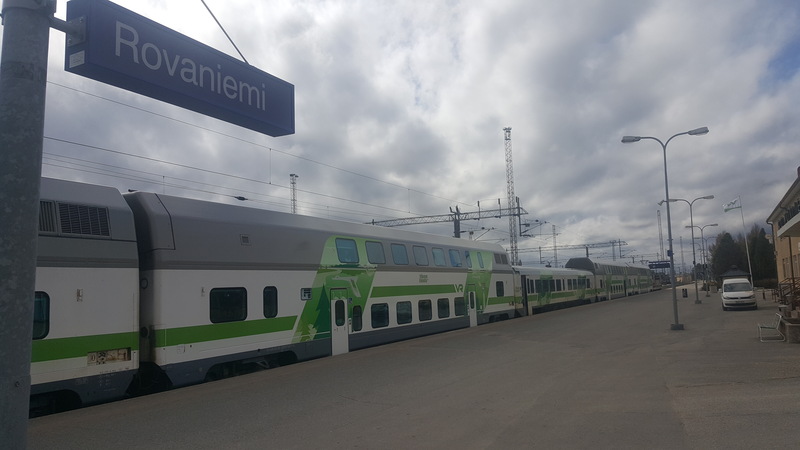 Cramer is excited about the projected railway line to Kirkenes, but more reluctant towards the proposed southbound rail connection across the Gulf of Finland between Helsinki and Tallinn. The price for the Rail Baltic tunnel connection will be too high, and the time-saving benefit compared with sea transportation is insufficient, he argues. And he does not agree with the ones who say that the Baltic Sea is getting too crowded with ships. The Finnish Ministry of Transport and Communications sees the Rovaniemi-Kirkenes and the Helsinki-Tallinn connections as part of one joint new infrastructure link between the Arctic Ocean and the European continent. The MEP underlines that the European Union now makes a major emphasis on railway development. Up to 80 percent of EU projects on trans-European network development currently go to rail and shipping, he says. Cramer comes from Berlin where biking increasingly is gaining ground as a key means of local transportation. The MEP is himself passionate about bicycles and has been a key person behind the project Iron Curtain Trail, a 10,000 km long bicycle route between the Black Sea and the Barents Sea. He is, however, not very proud of home country Germany’s records in the field of environmentally friendly transportation. Too much is being invested in roads, he argues. And the country should do more to electrify its railways. If his Green Party succeeds in the upcoming German national elections, railway, biking and other green mobility will make further gains in the country. The European politician politician underlines that he and his fellow MEPs «are not only working for European Union member, but for all of Europe, also with the neighbouring countries». And he has a clear message to the Norwegians.